During the winter season the National Football League playoffs are juxtaposed with the anniversary of the Siege of Khe Sanh. Teams from the NFL bang heads in the tournament push to the Super Bowl and I attempt to employ my anticipation for the big game to balance the Khe Sanh Siege depression that often presents its ugly face. I have watched most of the Super Bowls and in my younger years, Super Bowl Sunday may have been the most important day of the year to me. Now it’s lost a lot of its sheen, but when I see news reports about the Steelers and the Cowboys and the Packers and the Chiefs, my memories riffle back through the years to the first Super Bowl. I was not a Green Bay Packer fan back in the 1960s, mostly because I tend to favor underdogs and I was tired of them winning again and again and again. I was in Infantry Training Regiment, getting whipped into shape for combat in Vietnam. 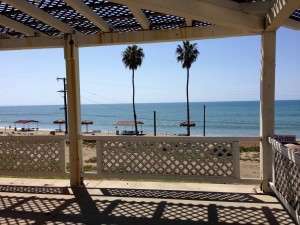 Stationed at Camp San Onofre at Camp Pendleton in Southern California, we were near the end of our training and he—his name, I think, was Rick Schaan—wanted to get away from the Quonset huts and the grinder and find something else to do. He was a diehard Packer fan, to boot. We hitched a ride down to an enlisted man’s club sitting just south of San Clemente Beach, and we sat in a bar and watched Green Bay whip Kansas City. 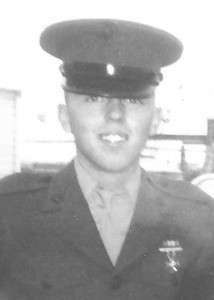 Not long after, we were off to Vietnam, Schaan to his billet and me to the 26th Marines and eventually to Khe Sanh, the Siege. Super Bowl II was played on January 14, 1968, between the Packers and the Oakland Raiders. Two months later I found out that the Packers won that game, too. I was sitting in Khe Sanh in the platoon commander’s hooch on radio watch, going through a pile of old Stars and Stripes. I recall seeing the notice about the game and as I remember it now, contrary to all the blare and hoopla surrounding the professional sports these days, the report on Super Bowl II was short and somewhat buried beneath news about Korea, Germany, the war in Vietnam and the lists of who died in combat prior to the week of that particular issue. That Stars and Stripes was months old, but that shouldn’t be surprising, given the delays getting mail in to us during the Siege. Sometimes we went days, even weeks, without seeing mail. I can remember reading the newspaper report on the game, thinking about it, and consciously making a decision to put that piece of info back somewhere where it wouldn’t hinder my attempts to stay alive. When you are surrounded by thirty or forty thousand enemy determined to kill you, who wins the Super Bowl isn’t a particularly big deal. Back then, football fans had their heroes—Jim Brown and Bart Starr and Johnny Unitas and Deacon Jones, to name a few—but in those days, athletes weren’t as well paid as they are now and they weren’t worshiped like they are now, as I remember it. In the late 1960s a game was only a game and not a life-and-death event, contrary, it seems, to all the hype we get twenty-four/seven from the sports promoters and sports reporters who make a living convincing us these games are the most important things in the world. Back when I was young a lot of the great athletes were veterans of either (or both) World War II and Korea, and had given up some of their playing careers to serve the country. Now, I rarely see the name of any veteran of Iraq or Afghanistan up in the sports’ heroes shining light hoopla. Blog author, Ken Rodgers, while serving at Khe Sanh, 1968. Photo courtesy of Michael E. O’Hara. It’s sad to me, that while we have thousands of our youth going out, losing legs, arms, suffering Traumatic Brain Injury and PTSD or being killed, these sporting icons are getting paid all the money they make. I don’t blame these young stars for taking the money. It’s there and we, the American public, are willing to pay for all the hype. And therein lies the irony. We have met the enemy and he is us, as I think the Walt Kelly cartoon character Pogo said. It’s us. We glorify these young athletes because they can run and jump and throw and think fast. I think we should be glorifying our returning service people, too. Imagine if they got paid like the sports stars of today. I don’t think it would take long for the public to send up a savage ballyhoo about the high cost of war. I know I may be dreaming, but what if we increased the pay of these kids going off to war and gave them some real recognition instead of a “thank you for your service” as we head out the door to work, to work out, to go to a concert. So, I may not watch the Super Bowl this year, because I’ve gotten kind of sick of all the fanfare about super jocks making super money for nothing more than a game. But I am certain I will wrestle with my Khe Sanh Siege depression and I will also lift my glass to all the younger warriors who are willing to use their arms and legs for something more important than scoring touchdowns. If you or your organization would like to host a screening of BRAVO! in your town this spring, summer or next winter please contact us immediately. I recently had a conversation with a veteran of the Middle East conflicts about the status of veterans in our country today. This young man is someone for whom I hold a ton of respect, someone who owns the permanent wounds, both physical and mental, as a result of his tours of combat duty. 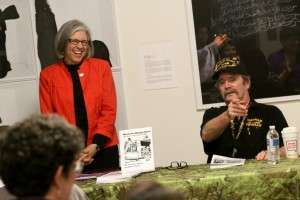 In effect—and I am paraphrasing here—he told me that today’s veterans have it easy compared to what happened to Vietnam vets, especially when we, Vietnam vets, came home from our war. I am not sure that we had it any more difficult in Vietnam than the troops who have been battling in Iraq and Afghanistan, but I didn’t disagree or agree with him. Several days later, as I left the house to go on a walk, I considered the idea that we had it worse than the current vets. In terms of our acceptance by the public back home and the recognition that PTSD and TBI are legitimate issues, he is probably right. But that is all ancient history, so to speak. As I strode beneath the ash trees and the maples and the crabapples and heard the warning cries of the black-capped chickadees, I thought about war and veterans. 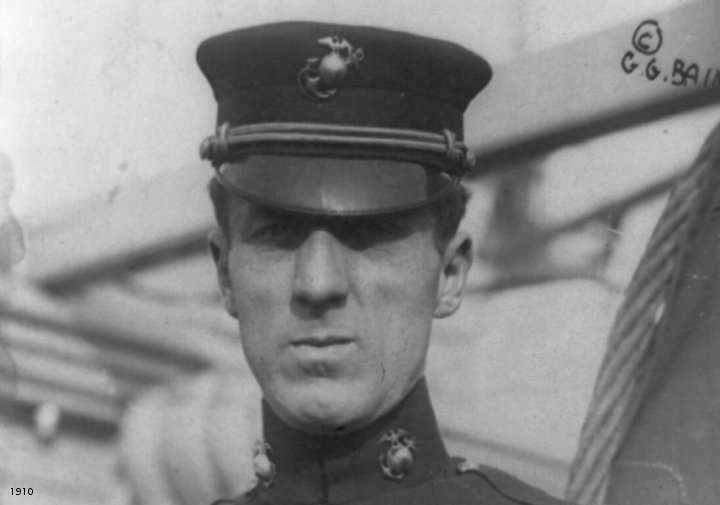 That led me to consider the wars of the last one-hundred years: World War I, the Banana Wars as Marine Lieutenant General Smedley Butler called them, World War II, Korea, Vietnam, Gulf War I and II, Afghanistan and all the other scrapes and skirmishes that have involved the United States’ military. 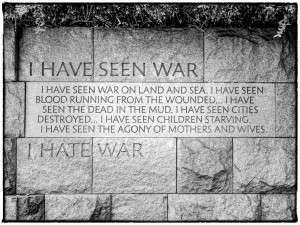 That led me to think about how I felt, when I was in the Marine Corps, about the veterans of previous conflicts. Before pursuing those thoughts, though, I admit to having spent a childhood surrounded by relatives, family friends and school teachers who were Marines. In 1950 one of my first cousins was killed at Chosin Reservoir in Korea. So I already held the idea of Marines in high regards. Then in boot camp we were inundated with nightly doses of Marine Corps history: Presley O’Bannon, Dan Daly, Smedley Butler, John Basilone, Chesty Puller and other famous Marines. We heard about Belleau Wood and Guadalcanal. Our drill instructors uttered paeans to the Marines of Fox Company, 2nd Battalion, 7th Marines and their gripping heroic battle to stave off annihilation at the hands of the Chinese Army at Chosin Reservoir during the early days of the Korean War. As I strode on down the walking trail ignoring the barks of neurotic Irish setters and aged Akitas, I recalled, in May of 1968, going to a special training session for riot control–yes we were training to control riots back in 1968. 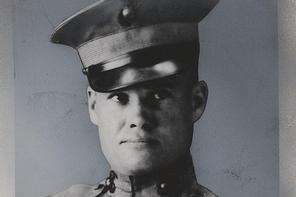 One of the trainers, a Master Gunnery Sergeant served with the 4th Marine Regiment—the China Marines—before World War II began for the United States. 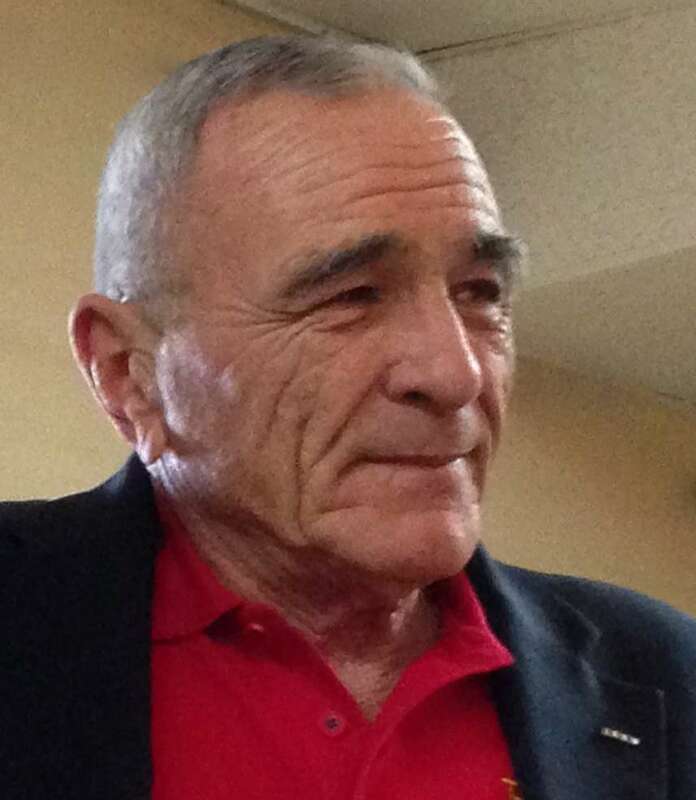 At the time he was old and I marveled that he was still in the Marines and I wondered what it was like to have been in China back then and supposed maybe he was with the units of the 4th Marines who were at Corregidor and the pursuant Bataan Death March. Thinking about those things gave me a sense of awe, that I was in the same location with a warrior who had been in places and combat that had reached almost mythological planes. Yes, I was at Khe Sanh, but Corregidor, Bataan? 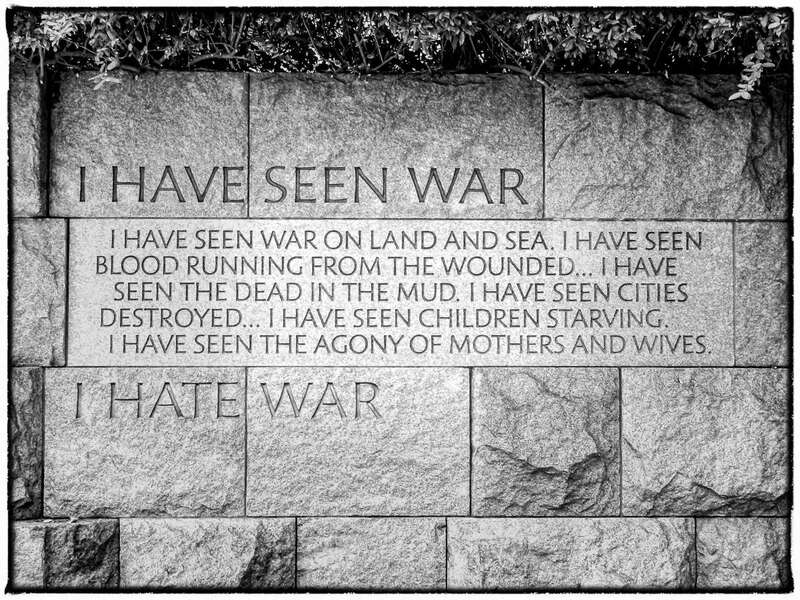 Regardless of your feelings about war—hate it, love it—it happens to humans and as such, the total array of human emotion comes into play: love, hate, rage, cowardice, callousness, disdain, on and on and on. People go through horrible experiences and some act above and beyond and others dismally fail or fall short one day and triumph the next, and as they soar and/or fail, the environment that compels them is monstrous in ways that those who have not fought in battle cannot imagine. And I revered that Master Gunnery Sergeant for what I supposed he went through. Similarly, later, when I was stationed at 36th Street Naval Station in San Diego, working in the Brig, one of our brig wardens was a Chief Warrant Officer, a weapons specialist known as a Gunner. I don’t recall his name but I can see him in my mind’s eye. Old, to me back then at the ripe old age of 23. The Gunner was quiet, not like I thought he ought to be, loud and commanding. If I recollect correctly, he had been with Chesty Puller at both Guadalcanal and Chosin Reservoir. I believe he was Chesty’s Sergeant Major at Chosin. There I was, working with a man who’d been with Chesty, at two of the Marine Corps’ salient history-making battles. And I revered him so much that I didn’t ask him about all that history. I was reluctant to approach him. He may have felt about his experiences in those places like I felt about Khe Sanh and at that time I really didn’t want to talk about what happened at Khe Sanh. I suspect that one of the reasons we were indoctrinated during boot camp on the heroics of past Marines was to perpetuate the mythology of the Corps, but it also was intended, in my opinion, as a possible way to stiffen our backbones should we, as Marines, and later as men, encounter the kind of horrible events that precipitated the actions that made Basilone and Butler and Chesty, and all the other Marines who are enshrined in the Corps’ pantheon of heroes, heroes. Years after I left the Marine Corps, I ran into Marines who served after I did, and they told me that the Siege of Khe Sanh had already become memorialized in Marine Corps lore. They told me that when the Drill Instructors held their nightly historical indoctrination of recruits, Khe Sanh was spoken of with reverence and the men who fought there were heroes, too. 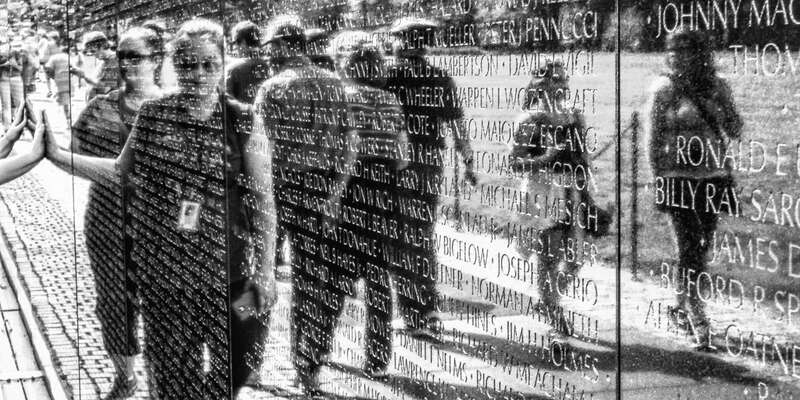 And as time goes on, I suppose, the men and women who served in Vietnam will be viewed in an even more heroic light as our stories continue to be told. Bravo Marines like the men in our film will be viewed as icons of heroism instead of the losers we were thought to be by so many of our fellow citizens back in the late 60s through the early 90s. Newer waves of Marine veterans have emerged from combat in places like Beirut in 1982 and the Gulf War in the early 90s and of course, the Middle East wars of this century, and as the century rolls on, there will, unfortunately, be more wars in which we will undoubtedly fight, and as the years go on, those new Marines will hold the old ones in awe. And the mythology will be enriched and the list of heroes will grow. It won’t make any difference whether the wars are good or bad as judged later, the men who fight them will go on to endure nightmarish events that will automatically log them in the small brotherhood called Warrior. Make no mistake, there will be wars. More wars in the Middle East as we deal with a resurgence of Islamic culture and there will be battles in Asia as those countries flex their muscles and who knows, Africa and South America and Europe. People say the Europeans are cured of the centuries of conflict that racked the continent, but folks die and the collective memory of World War I and World War II also loses the intimacy of horror that dies with the individuals who lived through those conflagrations. There will be war in Europe. And we will be involved. Good war or bad war, we will have our young people involved, and as each generation of warrior grows older, they will become the new generation of the revered veterans. My young friend and his fellow warriors in Iraq and Afghanistan will be known for fights in Fallujah and Ramadi and Sangin and Dehaneh. They will be revered. They will be called heroes. They won’t see themselves as such, but they will be remembered as heroes. On July 2, 2015, at 7:00 PM, BRAVO! will be screened as a fundraiser for the Eagle Field of Honor in Eagle, Idaho. The screening will be at Northgate Reel Theater at 6950 West State Street in Boise. Tickets are $10.00 with all proceeds going to the Eagle Field of Honor. Sponsored by Lithia Ford of Boise. For more information contact Heather Paredes at dhpare@yahoo.com or Betty Rodgers at bettykrodgers@gmail.com. Telephone: 208-861-7309 or 208-340-8324. If you or your organization would like to host a screening of BRAVO! in your town this coming summer, fall, or winter, please contact us immediately. Numbers, the kind I’ve seen a lot of recently, the kind that makes me realize just how fortunate my number really was. I’ve seen Bravo! twice now; 2.5 times, to be exact. The .5 was the time I tuned into its broadcast on the local PBS channel, but misread the schedule and tuned in an hour late. That’s a dumb way to watch this moving documentary; it can’t be cut up into pieces. Bravo! must be swallowed whole. survivors who were interviewed for the film. I last saw this amazing and heart-wrenching documentary on May Day, at a showing hosted by our local camera club. It’s a small group, so we were treated to some genuine and rare personal time with Ken and Betty. We’re lucky to have such hometown heroes, and grateful that they could find time for us. Because of the intimate atmosphere, I was able to absorb the events on the screen as if it were being screened only for me. It made a huge impact, and not in the way I expected. I’ve watched I don’t know how many war movies and documentaries on WWII, Vietnam, Iraq, and Afghanistan, just like most people my age (63). But this one was different. 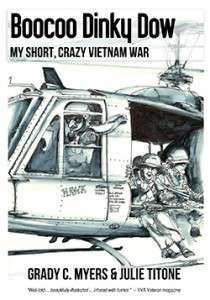 Although I have a number of friends and acquaintances who served in Vietnam, including old high school classmates, none ever talk about it anymore. I don’t think they ever did, at least with me. So Bravo! is a beacon for all the words that remain unspoken. A few days after the club screening, my wife and I were on a plane to Washington DC, and Bravo! was still on my heart. I spent a lot of time thinking about the Khe Sanh story, the men interviewed for the film, and what they said. It interested me that they didn’t speak in one voice. Every one of them served heroically beyond imagination, but not one behaved anything like a hero of the movies. I heard, along with the hard descriptions of their life and death situations, their humility and sacrificial love of their fellow Marines, acceptance of impossible circumstance, and surprisingly some tinges of doubt and criticism of the war effort, wondering now, decades later, why they had been sent and how they had been treated on their return. I wasn’t prepared for that. These were real human beings and their honesty floored me. It was about that point that I had a poignant realization, that my life could well have taken a different turn but for a certain number. That number was 250, my draft number in 1969. I vividly remember sitting around the TV with my family, as did all my high school buddies, watching the Selective Service lottery being drawn. Some of my friends drew low numbers and went off to boot camp before shipping off to Vietnam. One friend drew a 13 and headed off to Canada; another got a deferment to work in a Portland mental hospital. I drew number 250. I was safe and relieved of having to make any kind of decision to join in a war we watched every night on TV. The men of Bravo Company, First Battalion, 26th Marine Regiment went to Vietnam and suffered the Khe Sanh siege in Ken and Betty’s harrowing tale that will stick with me permanently. It’s not untrue to say that they went in my place because of the random fortune of a number. Bravo! has reinforced my love for those who sacrificed their own safety to allow civilians like me to go on with our lives rarely thinking of war and our warriors. For me, 250 represents the gratitude I haven’t properly expressed. Thank you, Ken and Betty, and the warriors of Bravo Company for making this film. May it travel far and wide and open the eyes and hearts of peace-loving people everywhere. War no more. 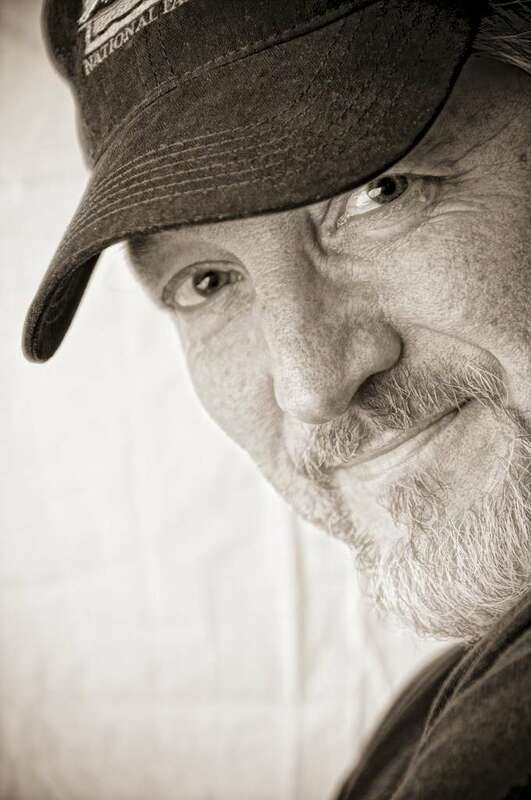 Don Johnson is an Idaho photographer, blogger, and educator who loves to instill the joy of cameras and vision in others. His popular Facebook group, Photo Assignment, is open to anyone interested in becoming a more creative photographer. Don is owner of Arrowrock Photography, co-founder of Sawtooth Photo Pros, and author of his almost-daily blog, Motel Zero. All I Ever Did Was Love My Country: What we don’t—and can’t—know about PTSD (because we weren’t there). Captain Theodore T. Long Jr., USMC, in an audiotape mailed from Vietnam to my mother in Layton, Utah, February 1970. For reasons I don’t fully understand, I’m obsessed with the show Madmen. This season, the clothes get ugly, the soundtrack gets funky, and it’s time to talk about hard truths that never seemed possible in those early 60s Camelot times of JFK and Jackie, pearls and Hyannis Port. The one scene from an early Madmen episode that still stands out for me is Don Draper and his (then) wife, Betty, picnicking beneath stately trees in early summer with their picture-perfect children. When they leave, they don’t bother to clean up the mess they have left—why would they? What a mess. That’s what a group of veterans told me on a Monday in late April 2014, when I was invited to visit a group of Warrior Pointe members in the recreation room of a cinderblock Christian church in Nampa, Idaho. The men ranged in age from grizzled Vietnam veterans to young soldiers who had just returned from Afghanistan. Their leader and Warrior Pointe founder, Reed Pacheco, walked in with a cell phone to his ear. He was talking with a family member of a veteran who had threatened suicide and needed an intervention fast. Pacheco, himself a veteran, founded Warrior Pointe because he wanted to create a space where former soldiers could come together to talk about the issues that continue to haunt them. “The VA just isn’t there for us,” he said, as heads around the table nodded emphatically. This group of 20 men have taken a new mission upon themselves: no soldier left behind. That delay of care has been in the news recently, with VA Secretary Eric Shinseki facing allegations that VA clinics delayed treatment to vets who desperately needed it, then covered it up. You can read more about this issue here: http://www.washingtonpost.com/blogs/federal-eye/wp/2014/05/13/shinseki-set-to-testify-over-alleged-secret-list-hiding-va-treatment-delays/. No one disputes that patients died while waiting for care. The Warrior Pointe organization recognizes that all of its members, no matter where or when they served, suffer from some sort of PTSD—Post-traumatic Stress Disorder. The controversial DSM-V (Diagnostic and Statistical Manual of Mental Disorders, Fifth Edition) revised criteria for the disorder which is now described as “a history of exposure to a traumatic event that meets specific stipulations and symptoms from each of four symptom clusters: intrusion, avoidance, negative alterations in cognitions and mood, and alterations in arousal and reactivity.” You can find out more about that here: http://www.ptsd.va.gov/professional/PTSD-overview/dsm5_criteria_ptsd.asp. Pretty much everyone who went to war to defend our country could suffer from PTSD. My father served in Vietnam. While the Don Drapers of the world were enjoying three-martini lunches and free love, my dad sent anxious audiotapes to reassure my mother, who heard nothing but bad news about the war at home. Dad didn’t have to serve. 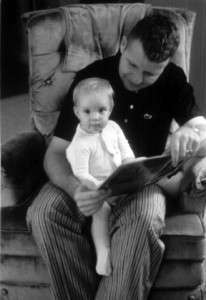 He was his father’s only surviving child. He set out to write his senior thesis in Political Science to defend the Vietnam War. As he researched the subject, he concluded there was no justification for America’s involvement in Indochina. Then he graduated from college and went to Vietnam anyway. 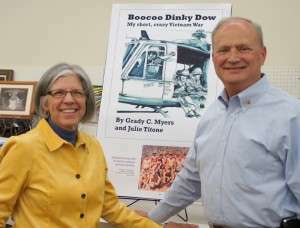 My dad flew medical rescue missions. As far as I know, he never killed anyone. He came home to life as a husband and father and used the GI Bill to pursue his passion to study law. But I will never forget the morning we were running errands in Bakersfield, California. The road was blocked to allow a parade, a hero’s welcome for the warriors of Desert Storm. And as a defender of our country, my dad most likely suffered from PTSD. 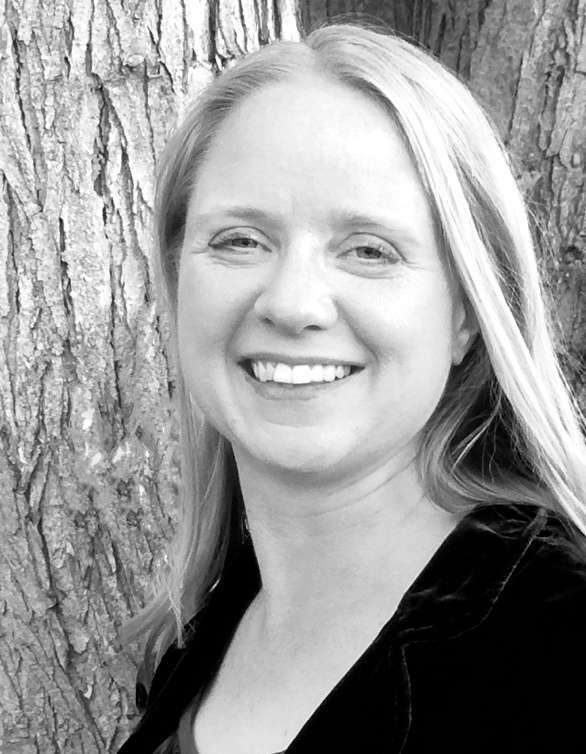 Liza Long is a writer, educator, mental health advocate, and mother of four children, one of whom has a mental illness. She lives in Boise, Idaho. You can read more of Liza Long’s thoughts here: http://anarchistsoccermom.blogspot.com/. I have been asked by Ken and Betty Rodgers to comment upon a special program that has been recently instituted by the San Diego County Sheriff’s Department within their county jail system. The program’s goal is to stop veterans from returning to confinement in a never-ending revolving door scenario, which is a known and tragic aftermath of war. We hope to give our incarcerated veterans a chance to get back on—and stay on—the high road. The hands-on supervisory authority for this program is the responsibility of retired Marine Master Sergeant G. Morales, who is the program administrator and chief counselor. The three outside team members are Marine Combat Veterans: Bill Rider, Colonel Al Slater and I. Bill Rider and I served at Khe Sanh, and Al Slater did his time in the barrel in the unforgiving environment of the far Northern sector of the DMZ, in The Trace and along the Ben Hai River. He and his company of Marines battled the NVA to a standstill every time they crossed sabers. Both Bill and Al are members of one of the most famous Marine infantry units to serve in Vietnam, “The Walking Dead,” First Battalion, 9th Marines (1/9). Bill, the team leader, is the founder and chief executive officer of the American Combat Veterans of War (ACVOW). I note that Bill and all volunteers in ACVOW receive no compensation. They are volunteers in the true, righteous sense of the word. 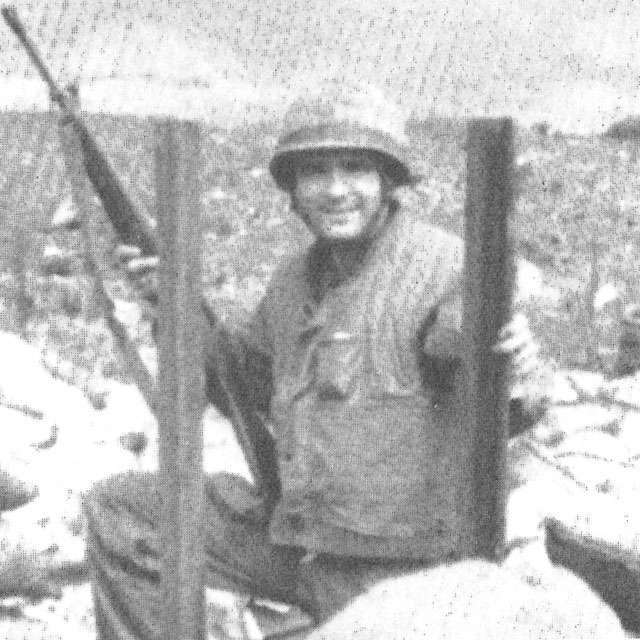 Bill was with 1/9 before, during and after the second Battle of Khe Sanh, serving as a riflemen, fire team leader and squad leader until he took the hardest and last of his three hits and was evacuated out of country. Though it was never awarded, his unit twice nominated Bill for the Silver Star. These two Marines are veterans of some of the most vicious, hand-to-hand combat and hardest fought battles in the history of the Vietnam War. I note in passing that the three of us wear a total of six Purple Heart medals. This is mentioned only in the context that when discussing the effects that hard, sustained combat can have on Warriors, we collectively and individually bring some bona fides to the table, lending credence to our observations, comments and recommendations. Our mission, which has been reduced to a Memorandum of Understanding, is currently awaiting review and approval by the sheriff and his staff. The short version of our mission is to assist these veterans in re-entering society in a productive and responsible manner. This will be done by assisting with job placement, education, establishing/re-establishing their veterans benefits to include discharge upgrades, medical, disability and limited financial assistance if needed/as available. Clearly, the official document is more detailed. The veterans in the jail, and the three of us, with the assistance of Master Sergeant Morales, agreed to the necessity of establishing a couple of ground rules within which both sides could operate. Briefly, ground rule #1 recognized that the inside veterans and the three of us on the outside have developed over a number of years, rather well-oiled B.S. detection meters. That said, we agreed to not consciously force the use of this rare detector, and rule #2, and as important, agreed that what is discussed in the cell block stays in the cell block (CB). With those two essential operational rules, the program was set in motion. The veterans who are in this test program have been carefully screened. Veterans who have committed violent crimes, such as serious assaults/batteries, child molestations and other similar crimes, are not in the program. Those who are selected, for the most part, have been accused/convicted of committing crimes that can be attributed to drug and/or alcohol related abuse problems, minor domestic violence issues and other crimes of this type; poor decision choices made while under the influence, which short-circuits normal thought processes. The resulting group of 32+ veterans includes a couple of our vintage from the Republic of South Vietnam era. The numbers of specific War on Terrorism veterans increase as we get closer to the Iraq and Afghanistan ventures. I have made very satisfying and personal contacts with several of the vets in the CB—one will be released by the time you read this and will be working within a verified, excellent program. He was in 3/5, “The Dark Horse Battalion,” as a rifleman in what remains one of the fiercest of several tough battles in Iraq. Another is a long-serving SEAL with tours in both the above areas of operations. He is a good man who probably should not be where he is. Our consensus is that he will be released very shortly. The group meets once a week, usually every Thursday morning or afternoon, and the sessions are critiqued and reviewed by the chief counselor and the ACVOW Team afterwards. The program as envisioned is constantly being fine-tuned, and it does vary from session to session. For example, on a recent Thursday, Bravo! was shown in its entirety to our veterans in their CB, or as we like to say, in their home, with their permission and on their time. I refer to what we do, including the documentary screening, as training that is needed for each of them as they are all on an extended, unaccompanied tour of duty without dependents; not necessarily a bad way of describing their current situation. I must say that some veterans were completely overcome by the film’s content, the subject and presentation. As I scanned the common CB room, I noted several of the men were having trouble with eyes perspiring—most of these were verified combat veterans of Iraq and Afghanistan. Sounds kind of familiar? As many of you know, the ultimate success of programs like this can frequently get side-tracked; lack of funding, too many people claiming to be the daddy, fights over turf—the list goes on. I personally feel that this program, under the supervision of the chief administrator, Retired Marine Master Sergeant Morales, is progressing very well and that the credit for the success must rest with him, Bill Rider, and Colonel Slater. Finally, The Program has been enthusiastically received and accepted by the veterans. They collectively feel it is beneficial, informative and very professionally conducted. If the initial data is any indication, the program is positively headed in the intended direction and at a manageable speed. I will attempt to keep everyone informed of our progress as this worthwhile project matures and develops. I am proud to note that Ken and Mrs. Betty believe so strongly in what Mr. Rider and his organization are doing that the ACVOW received the net proceeds of the Vista American Legion Post 365 and the Fallbrook VFW Post 1924 documentary previews of Bravo! Common Men, Uncommon Valor. Bravo! Marine Cal Bright introduces himself. I was born and raised on a farm in Parma, Michigan, until I joined the Marines at the age of 17 and went to boot camp at San Diego. From there, went through BITS and AIT then got to Viet Nam the first part of January, 1968, just turned 18. 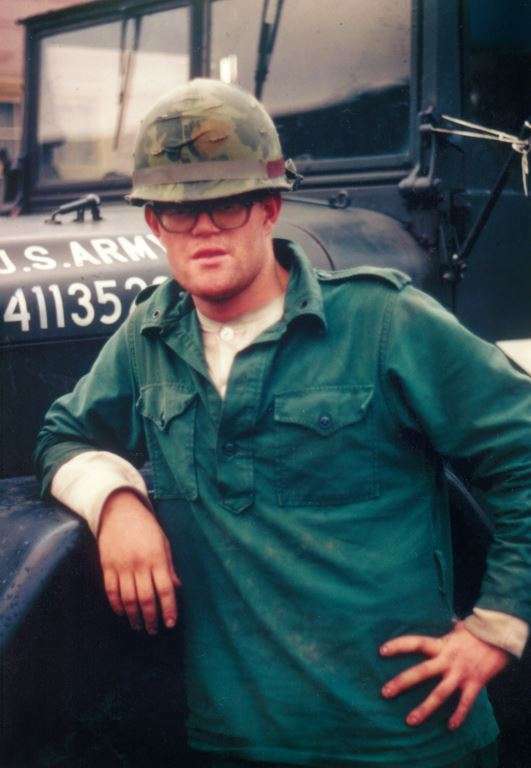 Went to Khe Sanh directly after getting to Nam and joined 3rd Platoon (Lt. Jaques), Bravo Company, 1/26 Marines. During the month of February, while I was already at Khe Sanh, my dad sent me my draft notice. Dang ARMY drafted me since I did not report to my local draft board for my 18th birthday. I did various details such as filling sandbags, burning crappers, LPs, guard duty, etc. I had no idea while on my first sandbag detail, that I would get buried under a ton of debris. We were in the process of rebuilding a 106 MM recoilless rifle pit when we took a direct hit that buried all of us. Fortunately, none of us were injured or killed. rear was a strand of wire that was hand-held by a fellow Marine. We would tug the wire for a Sit Rep (situation report). During my watch the wire got tugged and pulled almost out of my hand. Talk about being scared shitless, I didn’t know what to do. I was too scared to pull on the wire so I just lay there until daylight. As I proceeded to crawl back in the daylight, I discovered my wire had been broken or cut (not sure which) and there were several footprints and mounds of dirt shoveled. 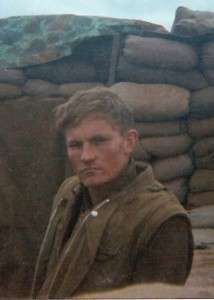 It had been a night that the NVA had crawled in behind me and were in the process of digging a trench up to our wire. I am glad that I did not tug or pull on the wire, for it would have given my position away. My first patrol will be one that I’ll NEVER forget. It was February 25, 1968, which became known as the Ghost Patrol. I have no idea how it was possible but I was not hit or wounded on it even though I found out afterwards that I went crawling and running through one of our mine fields from the opposite direction (from the enemy side) without touching off a round. I have lived with guilt to this day since so many of us died in the Ghost Patrol. My next patrol was on March 30 (pay-back time). I have turned my experience of combat into a positive, by contributing in other capacities. I transferred from Bravo Company and went to S2 and worked with Kit Carson Scouts for the rest of my tour. We went on many patrols and ambushes in places I can’t remember and some I’m not willing to report about. 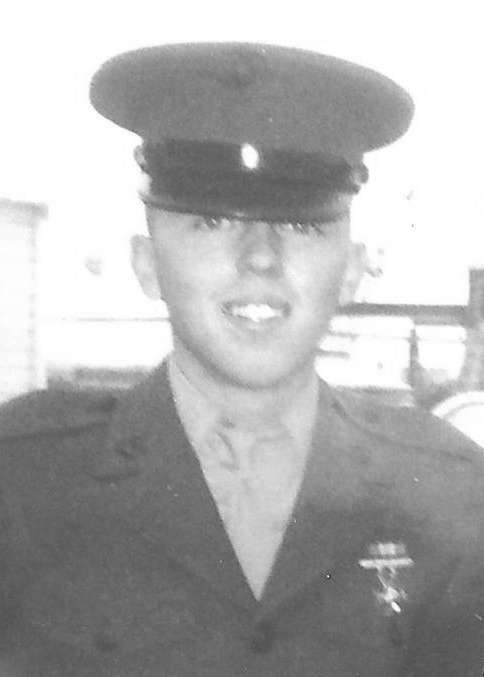 On returning to Camp Lejeune, North Carolina in 1969, I did a tour in Gitmo Bay (Cuba). After getting out of the Marines for a couple/three years, I joined the Air Force Reserve for the next twenty years along with being hired by the Federal Government. During this stint, I was activated for Desert Storm and got as far as Ft. Hood, Texas, before being deactivated. While working for the Federal Government, I was transferred to a section for Emergency Essential Personnel due to my previous military experience. I eventually ended up doing four Southwest Asia tours to Iraq, Afghanistan and Kuwait. I worked for the DoD/DLA as a Customer Support Rep. I was tasked to train, supply and equip the local security forces, as well as supply and equip our own military including NATO forces. I was deployed there for just under three years. Cal Bright at his interview for Bravo! I feel that God put me on this earth for a purpose and serving our Federal Government in one capacity or another was His way of keeping me on the straight and narrow. 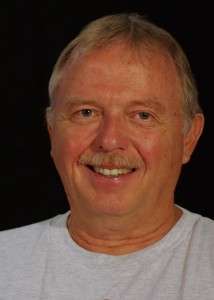 Since I wasn’t allowed to go back overseas because of being diagnosed with skin and prostate cancer, I retired in June of 2010. For the past few years I have been rebuilding my 1984 Corvette and have it almost completed. It is a 383 Stroker putting out just under 450hp. I enjoy hunting, fishing, cooking on the grill, camping, dates with my wife Debbie and enjoying all of our grandchildren (all sixteen of them).